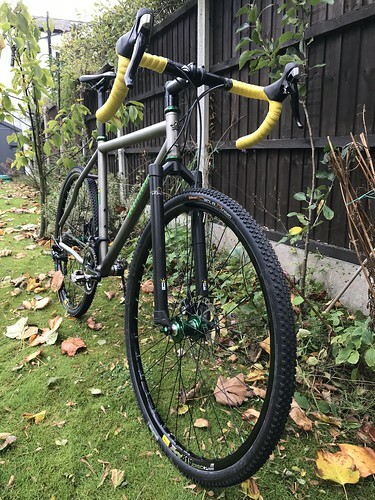 At the end of last year I started building up a new winter bike. 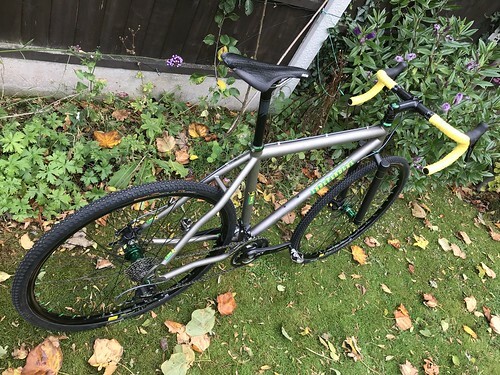 Independent Fabrication legendary collector Jam Price let one of his fleet go, I bought a second hand cross bike that had been used twice for parts and by January I was hacking about on a decent steed and working out what was needed to make it right. 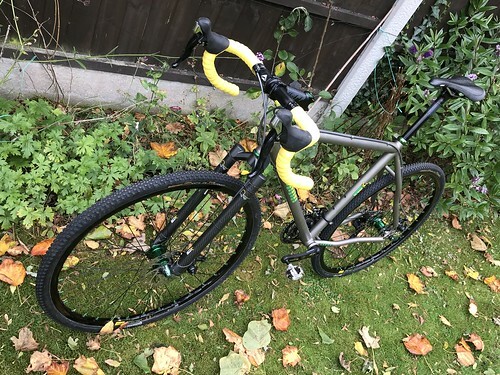 I’d worked out that cross bike parts would go on a 26″ IF without any problems and after the Aquamarine Fade Planet Cross, I’d decided that the next one needed to be Ti and disc equipped. So behold the updated and reimagined vision that proves that 26″ wheeled mountain bikes have untapped potential. This entry was posted on Sunday, October 22nd, 2017 at 12:10 am	and is filed under Words. You can follow any responses to this entry through the RSS 2.0 feed. You can leave a response, or trackback from your own site.